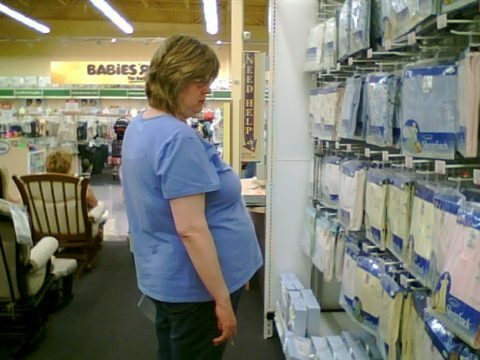 Don’t buy maternity clothes if you can help it. 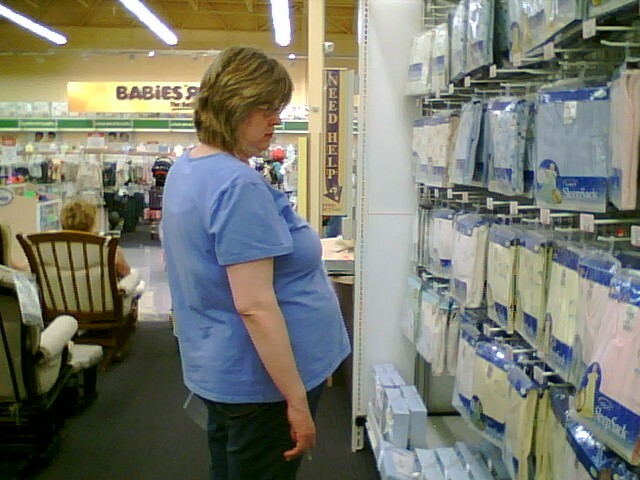 Maternity clothes are much more expensive than regular clothes and are only worn for a short period of time. Instead, buy clothes that are a size or 2 larger than usual. That will get you through most of your pregnancy, and the post-pregnancy months as your body returns to its normal size. Also, check with friends and family members who may have been pregnant before you. They may be glad to give or lend you their old maternity clothes. Let manufacturers know that you’re pregnant by putting your name on mailing lists at maternity clothing stores and baby furniture stores. Before you know it, your mailbox will be full of money-saving offers that you will actually need and use. Just for fun, when I was pregnant, I would spell my name wrong at different store so I could see which store sold my personal information to whom. Don’t pay for expensive pregnancy books. You can pick them up at the library — for free. You can buy them at thrift stores — for less. You may also want to use online book swap websites like PaperbackSwap.com. If you can’t control the food cravings, you can at least save money by making the foods that you crave the most at home. That way, when you have a craving, you aren’t sending your spouse out in the middle of the night looking for an open store or restaurant. If your pregnancy cravings are more simple (such as ice cream and pickles), fill your refrigerator with those extra items. That way, you’ll save on gas for those late night treats. Start collecting all of the necessary items for your baby early by scouring garage sales. Everything you purchase does not have to be brand new. Look for baby monitors, diaper pails, room decor, rocking chairs, dressers, changing tables, and other items that tend to cost more than they need to. Also put out feelers among your friends and family for items you would like to borrow or get for free. You want to give your baby the best headstart as possible. Take care of your body while you are pregnant and make sure your newborn has the safest bed and car seat that you can find.